Six Sigma Fundamentals signifies individuals understand the fundamental aspects of Six Sigma used to improve business performance. Individuals acquire knowledge of Six Sigma DMAIC and Lean business process methodologies, terminology, and benefits. 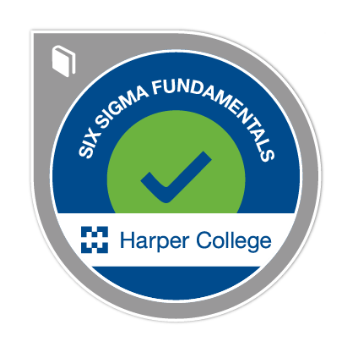 Badge earners can identify statistical methods and tools that underpin Six Sigma.